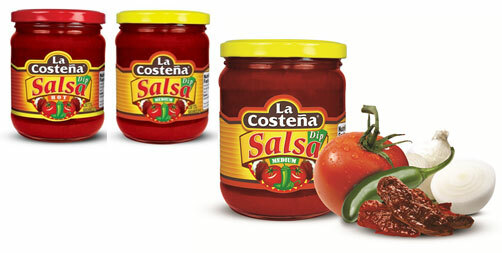 La Coste�a is a Mexican brand dedicated to quality Mexican Food Products. Originally founded in 1923, by Vicente Lopez Recines, who pickled fiery jalape�os, Mexicans most loved chili. La Coste�a has grown to become one of the most recognised and celebrated brands inside and outside Mexico. La Coste�a now produces delicious Beans, Hot Sauces, Jalapeno Sauces, Salas, Dip Salas, Chipotles, Tomatillos, Mole, and a variety of additional authentic Mexican goods. La Coste�a is available in food service and retail packs from the proud sole Australian Importer, Ostindo International. Use La Coste�a to prepare your favourite dishes and get ready to celebrate true Mexican flavour! Delicious spicy Mexican sauce made from red jalapeno chilies, peppers and spices. This sauce adds a rich flavour to all your recipes. The smoky Chipotle Hot Sauce is made with smoked chipotle and tastes sensational with soups, dressings, steak and chicken. Add a splash! Homestyle Mexican Salsa is a medium spicy, chunky red sauce made with natural red tomatoes, chili, onions and coriander to give it that unique Red Jalapeno taste. Complement your tacos, burritos, fajitas and enchiladas with this deliciously spicy sauce. Salsa Taquera or known also as Taco Sauce is a delicious tomato based salsa made with chilies, onions and garlic. 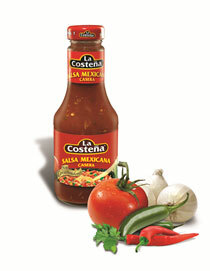 Give your tacos, tostadas, huaraches, sopes, quesadillas and tortilla based dish a kick with La Coste�a Taco Sauce! 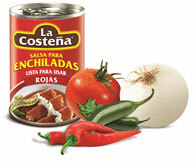 La Coste�a Salsa Dip is made with diced tomatoes, onions, peppers and spices for an authentic Mexican taste. Enjoy your chips and nachos with the spicy and flavourful dip salsas. La Coste�a Mexican Green Sauce (Salsa Verde) is flavoured with tomatillos, coriander and chillies. This authentic Mexican Salsa Verde has a fabulous flavour. Pour onto chicken enchiladas or as a condiment for any dish that needs a little extra lift! Jalapeno Peppers have gained worldwide popularity for their spicy hot flavor. They can be eaten directly as a cocktail snack or used to give your dishes that delicious Mexican touch that everyone loves. 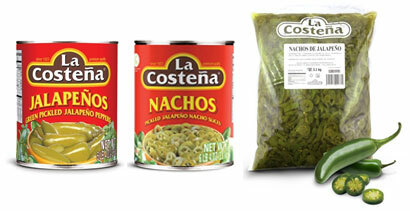 La Coste�a Jalapenos come in a variety of presentations and packaging options as whole peppers, diced or nacho sliced. Chipotle Peppers are a variety of red jalape�os that are ripened, dried and smoked through a very special process that follows an original Aztec tradition. The chipotle peppers are packed in a spicy red tomato adobo sauce that really adds to the warm and smoky flavour. Tomatillos are a relative of tomatoes and provide that delicious tart flavour in all Mexican green sauces and salsas. 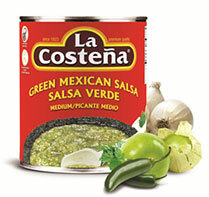 La Coste�a Red and Green Enchiladas sauce is irresistible when poured over chicken or vegetable wrapped tortillas, a truly authentic Mexican flavour. 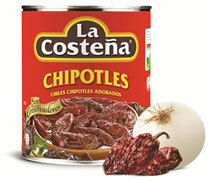 La Coste�a Red Enchilada Sauce is flavoured with tomatoes, arbol chillies and spices. 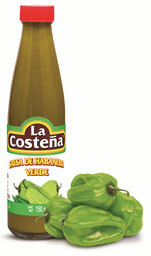 La Coste�a Mexican Green Enchilada Sauce is flavoured with tomatillos, coriander and chillies. La Coste�a's brings you the classic Mexican Mole Sauce, consisting of chocolate, chilies, nuts and spices. Hot Mole is the perfect sauce for chicken, turkey, enchiladas or chilaquiles. Use in cactus salads as a topping for tostadas or with browned cheese for a taco filling. Sliced for convenience, Tender Cactus lends itself to a variety of dishes, such as traditional Nopalitos (Tender Cactus) Salad or soup. 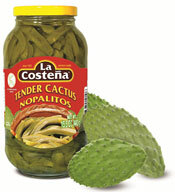 Combined with seafood, omelettes, quiches and casseroles, Tender Cactus, adds a delicious and authentic flair! The Mexican Corn Truffle is known as the 'food of the gods' for its exquisite and unique flavour which has been a part of Mexican cuisine since Aztec times. 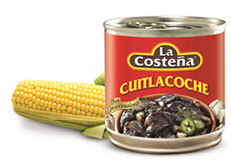 La Coste�a Cuitlacoche has a unique earthy and smoky taste with flavours of mushroom and corn. Use Cuitlacoche whenever you might use a mushroom. La Coste�a's Cuitlacoche rich flavour complements crepes with chipotle sauce, creamy soups, quesadillas and tamales.